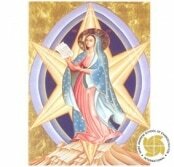 ​To discover the place and mission of Mary in God’s plan of salvation. Over the years I have encountered many extremes in Marian devotion from people who almost place Mary above Jesus to those who discard her altogether. This course was so balanced and so scripture based that it gave me a great confidence of where her rightful place is and what sort of devotion she herself would want from us. It also helped me to look at some common objections to Mary and how to find answers from the scriptures with which to answer those objections when challenged.